I seriously can’t wait to read this one. 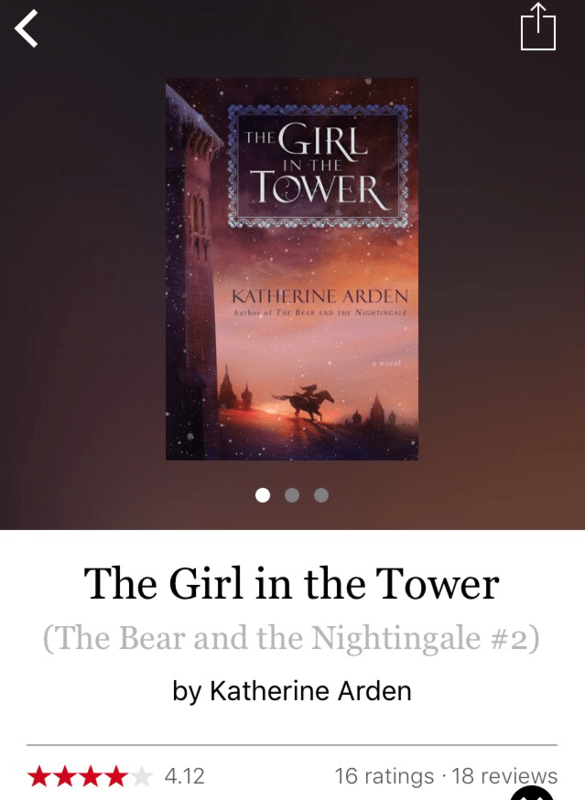 After reading The Bear and the Nightingale I was disappointed to find out it was a series. I thought the first one ended well and was ready to let that be “The End.” There were many plot holes but to me they worked.m because they seemed to work within the realm of fairy tales. I’m not sure if that made sense. Even though I was slightly disappointed it turned into a series,l I am still excited to continue Vasya’s story. And hope she ends up with Morozkov (not that it is anyway a romance because it really isn’t. It’s just one plot line I hope comes through, but will be perfectly fine if it doesn’t, unless Vasya ends up with someone else. Okay, this aside is getting long winded so in summary, Vasya and Morozkov or Vasya and no one, but it’s not a romance). To be released January 2018.